I enjoy my work and strive to make every repair job completed to the highest standard. 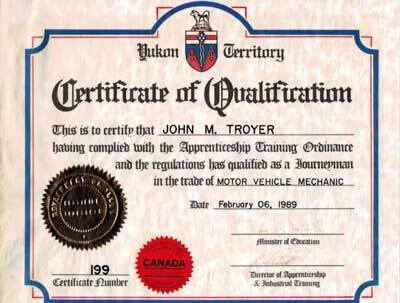 I am able to purchase parts for almost all appliance manufactures in a timely manner. 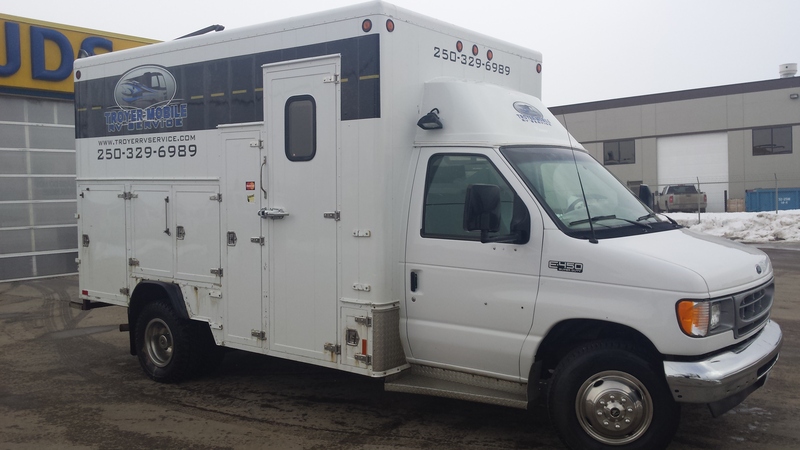 I use good test equipment and a full line of tools to ensure proper repair and installation of all parts and accessories. 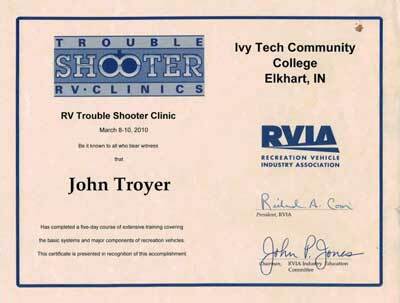 For over 30 years I have professionally repaired campers, travel trailers, fifth wheels, camper vans, class B and C motorhomes, as well as some class A.
John Troyer brings over 35 years of experience to Troyer Mobile RV Services along with many years of experience starting and running several small businesses as well as managing other operations. 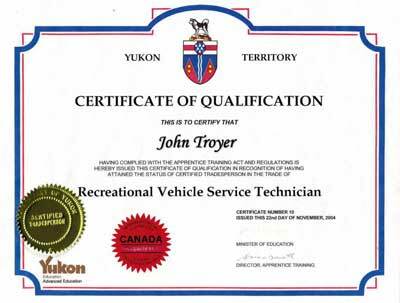 John has interprovincial journeyman certification for both auto mechanics and Recreational Vehicle technician. 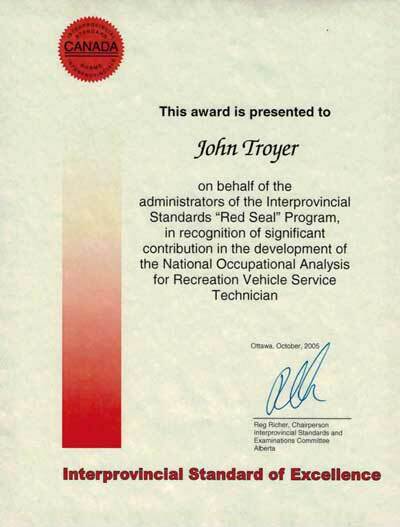 He has played a key role in developing Canada's national training standards and testing requirements. John is a commercial pilot and avid outdoorsman, and is happily married to his wife Elizabeth; we have been married 45 years... I know, amazing!. John and Betsy have five grown children and many grandchildren. How often should I have the wheel bears repacked? At least one every 2 years or approximately 8ooo km’s. Do not over grease the hubs if there is a grease fitting showing on the small cap. This can over fill the hub and push out the grease seal allowing grease to coat the brake shoes. How often should the roof be inspected? At least once a year, preferable in the spring so that if the cold has caused the sealant to shrink and separate, it can be easily resealed before there is water damage. 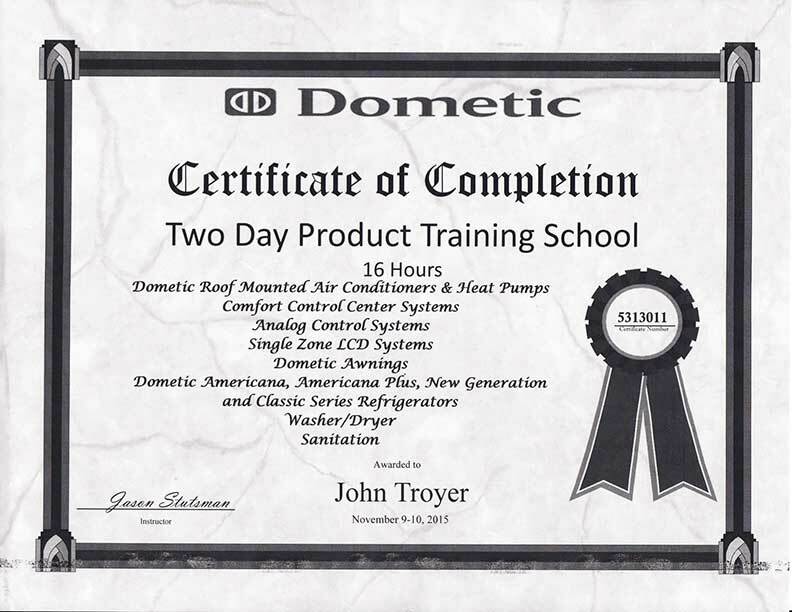 Make sure to use the correct sealant for the type of roof your unit has. 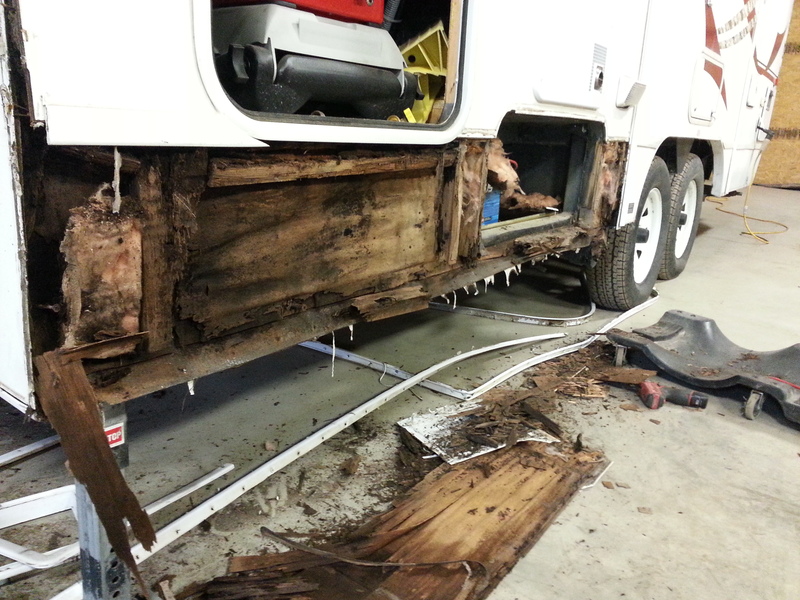 What main issue should I be concerned about when it comes to good RV care? Water getting in through the roof, moldings or windows as well as condensation on the inside. Use vents and exhaust fans when cooking or showering to remove moisture. 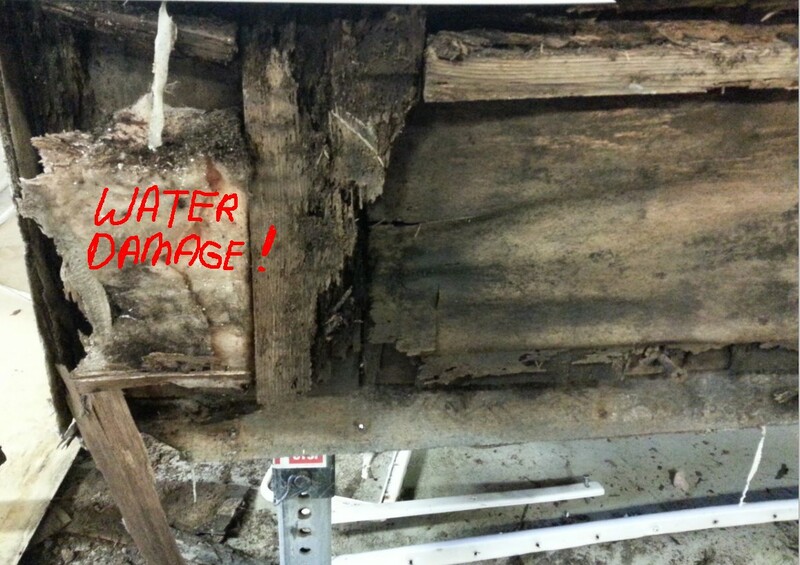 If there is any external damage it must be sealed as soon as possible to keep water from causing the structure to rot.